Please read the following policies and guidelines in its entirety. 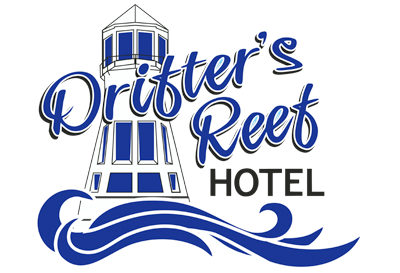 At Drifter’s Reef Hotel we accept Visa, Discover, MasterCard, and American Express. You are welcome to pay for your stay in cash, however we do require a valid credit card number on file for your reservation. All rates are subject to change without notice. Keep in mind that a 13% tax is added to all rates. Room rates are based on the room type that is booked. All rooms do have a maximum occupancy listed on our “Rooms & Suites” page. A valid credit card number is required for all reservations. You will be charged a deposit equal to the first nights stay at the time of reservation. You may cancel for free up to 5 days before your check in date. However, if a guest cancels within 5 days of their reservation, the cancellation fee is the cost of a 1 night stay plus taxes. Higher rates and minimum night stays may apply during holidays and special events. We do not waive cancellation fees due to bad weather. We also cannot waive a cancellation fee due to any medical reasons. The cancellations fees are not negotiable, please keep that in mind when making a reservation. 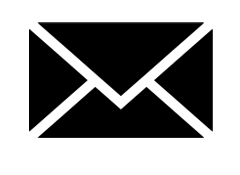 We reserve the right to refuse continued service to anyone in your party displaying disruptive or unwelcoming behavior. If you are asked to leave for any reason, you will not receive a refund. The front desk is open 24 hours, 7 days a week. Check-in begins at 4:00 pm and check-out is at 11:00 am. Dogs are welcome at Drifter’s Reef. All of our pet-friendly rooms are located on the first floor and have tile flooring (rather than carpet). The pet fee is $30 per dog, per night. Dogs must weigh less than 30lbs. All dogs must be housebroken, non-aggressive, and quiet and must be crated when left alone in the room. Pets must be on a leash when on the property. There is a fenced dog park area in the rear of the building. Any damages due to non-housebroken activity will result in a charge to the credit card on file. Additionally, we reserve the right to refuse service to any guests with a disruptive dog. If you are asked to leave due to your pet, you will not be refunded for your stay. We also reserve the right to refuse dogs being classified as dangerous breeds so please check with our hotel upon booking. Also, please check with the Town of Carolina Beach for regulations on when dogs are allowed on the beach. Their link is on our “The Area” page. All of our rooms are non-smoking. Any guest who smokes in their room will be charged a minimum fine of $200. There are benches, chairs, and ashtrays located outside of the rooms where guests are welcome to smoke. We offer free parking for our guests. We allow one vehicle per room. If you have additional vehicles, boats, trailers or oversized vehicles please contact the front desk so we can accommodate your needs.